Your website visitors can access their personal accounts using their registered email address and password, or via various social networks which provide authorization option for external websites. Open Site app and navigate to Personal → Auth & Sign Up settings. 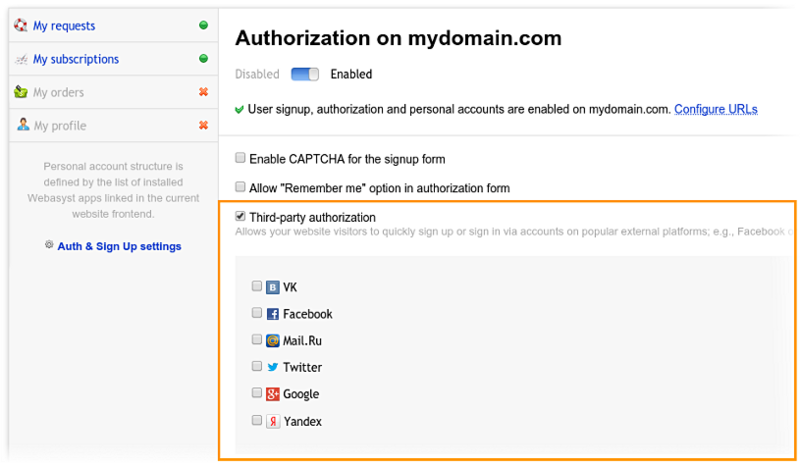 If authorization is not enabled, do enable it to add the login link to your website design. Sign up in the desired third-party services and complete the setup described for each of them in the documentation. 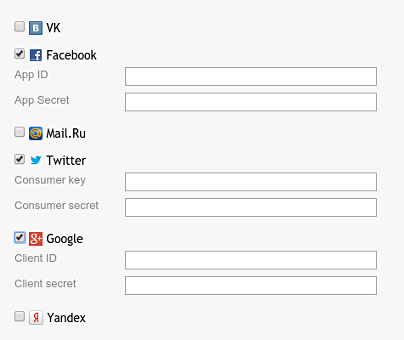 Copy the settings values provided by each service; e.g., App ID, consumer key, password, etc. Each service provides its own set of parameters.